Upcycling is the concept of taking an original item and refashioning it for a similar or altogether different use. 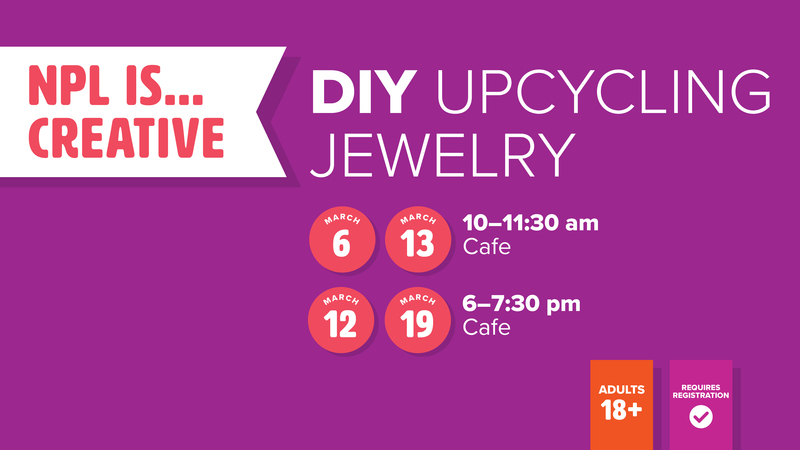 In this class, we will be refashioning old costume jewelry and giving it new life! For adults ages 18 and up. Registration is required for this class and begins on February 25 at 9 am. Space is limited. Please plan to bring some old costume jewelry to upcycle. If you have any jewelry tools, bring those along too! This class will also be held on March 6 at 10 am, March 12 at 6 pm, and March 13 at 10 am.